2018 can be seen as a year for moving forward. We built upon the successes of the past, and continued to innovate and compete in our areas of expertise. Here is what we have accomplished. The International Trade Center was founded in 1992 with the premise that our success is measured by our clients’ results. We are proud of the successes that we have helped our clients achieve through out international trade consulting, international market research and innovative training programs. Our staff of CGBP credentialed business consultants are available to assist your company establish or expand its global business presence. Our TIBA program uses our traditional consulting, combined with specialized financial know-how, to assist foreign companies interested in starting operations in Texas. Our webinars and live seminars deliver real-world expertise small and medium business professionals. Learn the “how-to” not just the “what” through training that provides you with the information and skills to improve your international operation. The TIBA program provides in-depth technical assistance and local market know-how so that foreign based businesses can structure their foreign direct investment projects and successfully establish operations in Texas. 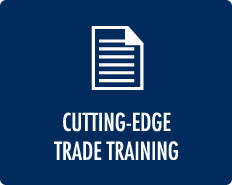 The SBDCGlobal program provides training to SBDC professionals, and advises foreign governments on how to adapt and start their own SBDC networks. 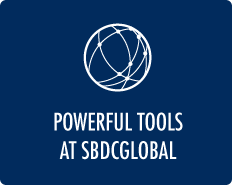 SBDCGlobal.com is the first business to business the first business to business platform for US and international Small Business Development Center (SBDC) networks that will connect millions of small business clients. The International Trade Center at UTSA is the largest and most successful trade assistance organization in the state of Texas. We are a specialty Small Business Development Center, and part of the South-West Texas Border SBDC Network housed at and part of the UTSA Institute for Economic Development. 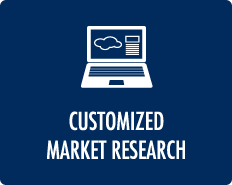 All our services are free, customized, and 100% confidential. 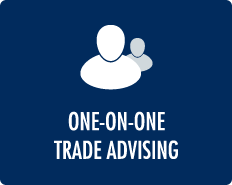 We help small and medium-size companies become globally competitive by providing: One-on-one trade advising, market research, innovative training and global connections through SBDCGlobal. “Our consultant, Alberto Rodriguez-Baez, is very knowledgeable in international business and very helpful with his research team. The i..."
“The market research prepared for us by the International Trade Center was very informative and provided comprehensive and detailed inf..."
The TIBA program is a powerful and effective tool for companies and foreign investors that want to establish a business in Texas. In collaboration with the Center for Community and Business Research, the Un iversity of Texas at San Antonio and a team of professional experts in the subject, we are dedicated to create jobs and business development fomenting economic impact in the state of Texas. In addition, we offer economic impact studies and business plans directed for EB-5 regional centers.